The way we work is changing and what employees want in a workplace is changing. Today, encouraging your employees to do their best work is about so much more than salary, benefits, and security – it’s about environment. “All work and no play makes Jack a dull boy.” Traditionally, this old proverb meant that people need time off from work so they don’t become bored or boring – but now, we can interpret it as meaning that without play at work, what we do, what we create, is boring. To do our best work, we need to have fun with it, we need to enjoy where we work not just who we work with (there’s a reason Google is known for both company culture and innovation). 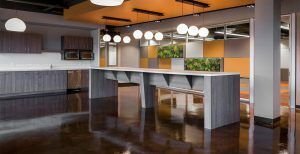 Plus, casual spaces designed for socializing alone tend to invite natural connection and collaborative, informal brainstorming (which can spark some pretty brilliant ideas). As much as we like categorize and put people into separate little boxes, we do our teams a disservice when we put everyone in tidy little boxes, labelling them as this or that: introvert or extrovert, millennial or boomer, rational or emotional, practical or creative, boss or employee. No one is wholly one or the other; in fact, most people are both. Adam Grant’s research says that 33% of people are both introverted and extroverted (aka ambiverts) and Brené Brown says, “There is no such thing as creative and non-creative people, only people who use their creativity and people who don’t.” By doing away with these binaries, we bridge the divide, we unite our teams, and we create opportunities for them to fully utilize their talents, to do their best work. How does this translate in office design? By designing spaces that allow people to fluctuate back and forth between these labels, to blur the lines and explore how they want to work any given day. No one is comfortable in someone else’s space: we tip toe, we tread lightly, we walk on eggshells. But when we can claim a space as our own, when we can personalize it, when we play a role in its design and development, we’re invested, we’re empowered, and we’re proud. Thus, involvement equals engagement. 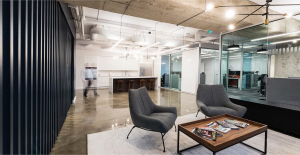 Plus, when the people using the space have a say in how it’s designed, you’re likely to end up with a design that increases workflow and productivity too. 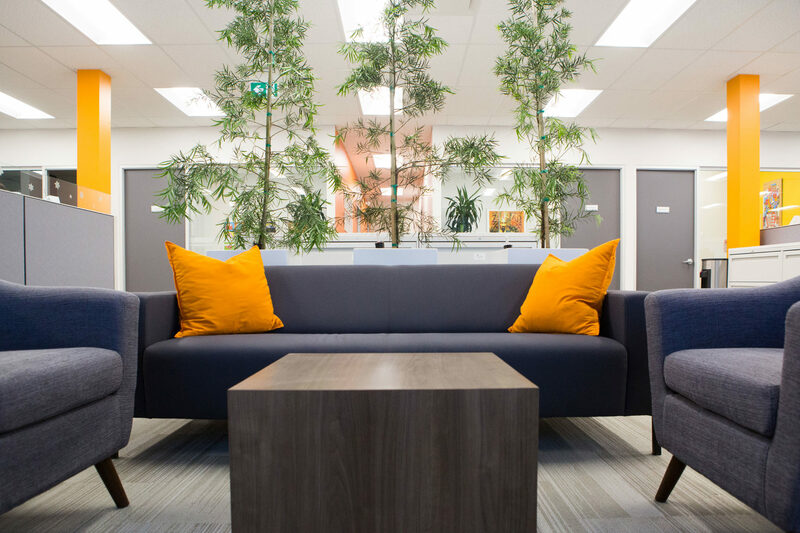 From office furniture to lighting, from fixtures to colours, from natural elements to sustainability, your team definitely has opinions and those opinions matter. If you’re interested in how TruSpace can help you encourage your team to do its best work, reach out to one of our experts today. What Do Employees Want in a Workplace in 2018?